LANSING, Mich. — State Sen. Ken Horn continued his Hometown Tour series recently with a stop in Flushing for an inside look at Flushing Community Schools. Horn spent the morning touring various locations in the school district meeting administrators, educators, and students. Beginning at Central Elementary, one of Flushing’s four elementary schools, Horn, R-Frankenmuth, met with Mrs. Brecht’s fourth grade class, spoke with students about his role as a senator, and took questions from the group. After completing his visit to Central Elementary, Horn traveled to Flushing Middle School (FMS) where he was greeted by FMS Principal Andrew Schmidt and given the visit’s itinerary. While at FMS, Horn visited both Mrs. Jaggers’ seventh grade social studies class and Mrs. Wykes’ eighth grade American History class to discuss the benefit and importance of a politically involved populous. Students also had the opportunity to ask questions relating to the life and responsibilities of being a state senator. Visiting classrooms was not the only thing on the senator’s agenda, however. Horn also assisted FMS cafeteria workers in serving lunch, and conducted an interview with students in the middle school’s media room. After leaving the middle school, Horn made one final stop at Flushing High School to speak with Mrs. Taylor’s government class. “These are students who are coming close to the end of their academic career at Flushing,” Horn stated. “It was great to discuss with them some of the next steps they are all going to be taking. These kids are the ones who are directly seeing the impacts of what we do in government. They are concerned about their future, the cost of college, and the things they need to be doing in order to be successful — it was my pleasure to discuss the role government will play in these endeavors, as well as the role they think government should play. “I want to thank all who were involved and worked to make this visit possible,” Horn said. “A special thanks to Matt Shanafelt, who had his hand in this whole tour, Lisa McNally at Central Elementary for directing me to each location, middle school Principal Andrew Schmidt, and high school Principal Jason Melynchek for facilitating my visits to their respective schools. For video of this and previous tours, click here. 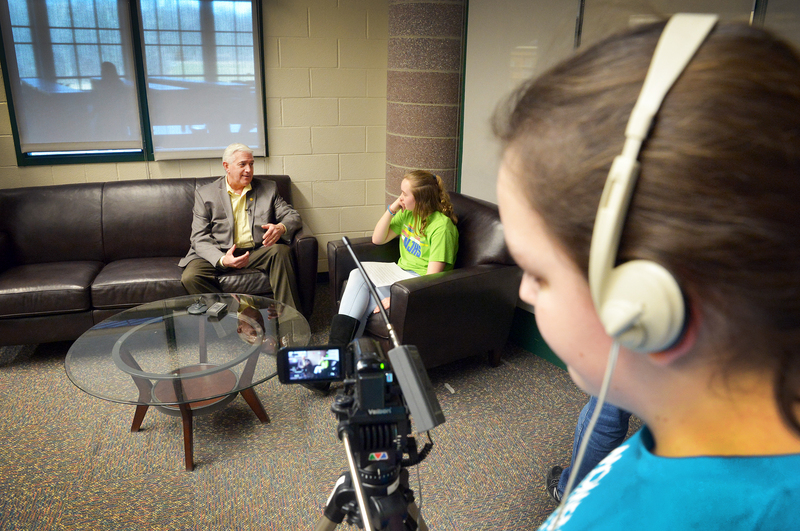 PHOTO 1 CAPTION: Flushing Middle School student Maddie Kranz interviews State Sen. Ken Horn, R-Frankenmuth, in the middle school broadcast room as Kennedy Hobson films the discussion. 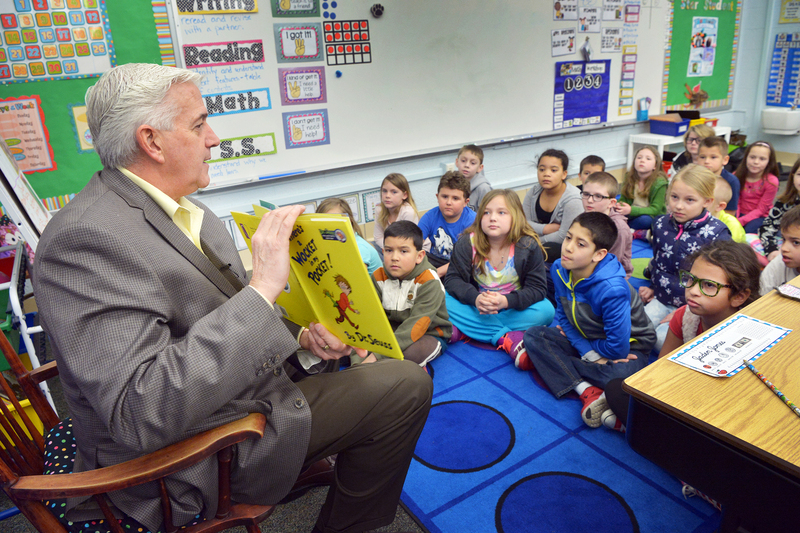 PHOTO 2 CAPTION: State Sen. Ken Horn, R-Frankenmuth, reads Dr. Seuss’ “A Wocket in my Pocket” to Mrs. Lacy’s second grade class during his visit to Central Elementary. 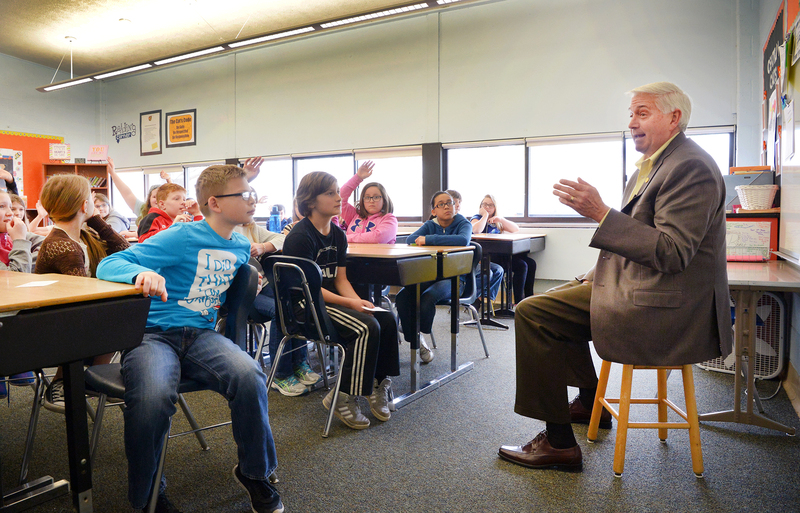 PHOTO 3 CAPTION: State Sen. Ken Horn, R-Frankenmuth, discusses the responsibilities and duties of being in the Legislature with Mrs. Brecht’s fourth grade class at Central Elementary.